A house on a prominent hill is sunk into the ground with stone retaining walls. Services are underground with a grass roof. 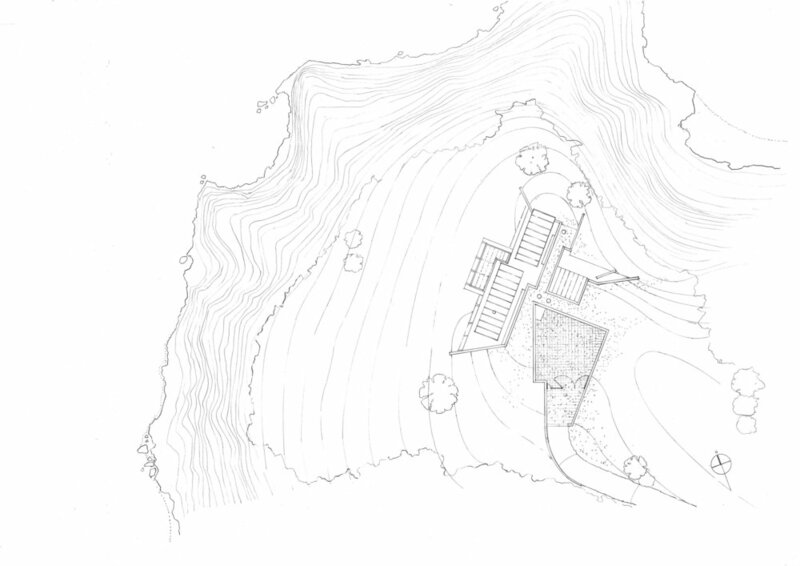 Living areas are nestled into the slope in copper-roofed pavilions that open out to the view.